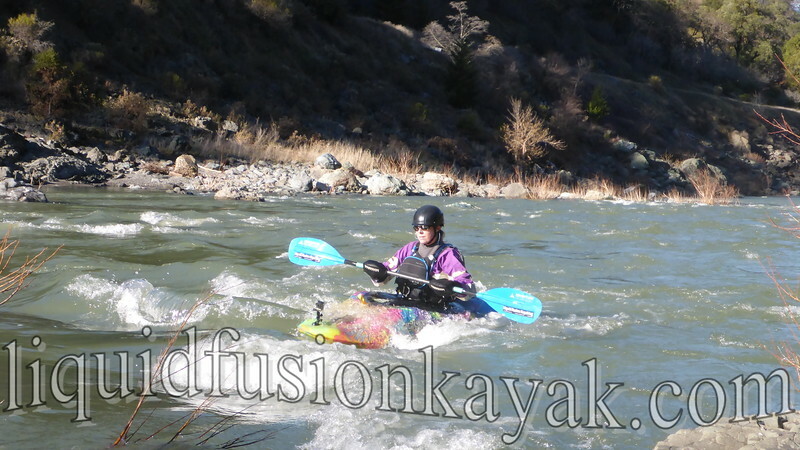 Did you know that Liquid Fusion Kayaking has started a new email newsletter? 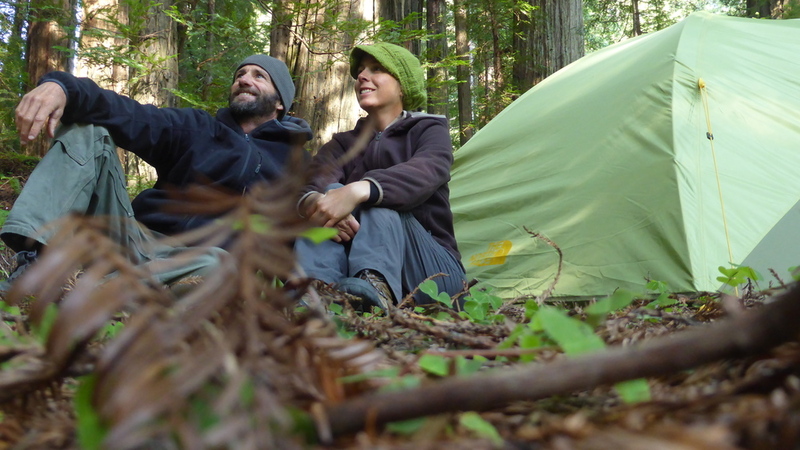 Our new newsletter has photos, information on upcoming classes and events, and a monthly coaching tip. Subscribers will get first dibs on our specials and early registration on our special events. If you want to be in the know, use this form to subscribe. 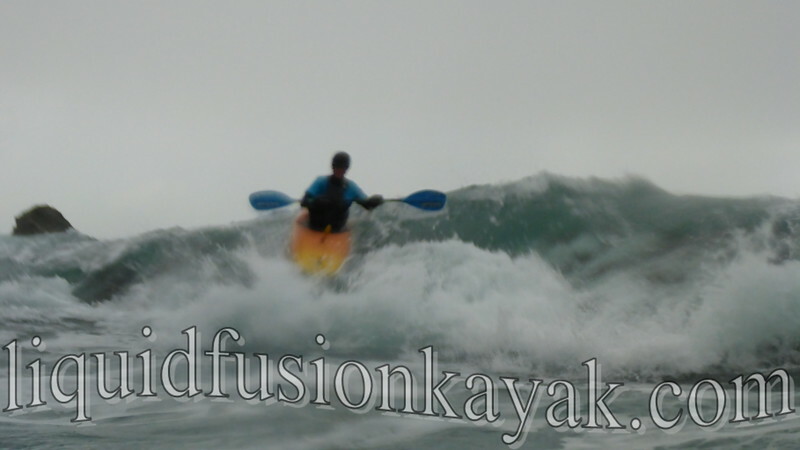 Last month, I shared that I was excited for Liquid Fusion Kayaking's New Years Whitewater and Surf Safari. We did it! To see Jeff and our students in action - whitewater kayaking on the Eel river and surf kayaking and ocean rock gardening on the Mendocino Coast, check out my LFK blog post on the Mendocino Trifecta. As I alluded to in the blog post, I was coaching and photographing - that's my job. The beauty of a surfari is that I get to play too. At the risk of being egotistical, I am going to share the fun that I had on the Surfari. LFK's surfari began with a whitewater kayak run on the Eel River. We had a medium to low flow which is perfect for those who like to play their way down the river. At this flow, there are lots of eddies to catch and small waves to surf. A rapid that we call Tic Tac Toe is particularly fun at this level and our students rose to the challenge of catching as many eddies as they could by eddy hopping and ferrying back and forth across the river. I didn't catch as many eddies as I would have liked because guiding responsibilities required me to maintain line of sight and be ready to assist anyone having difficulty. The small surf waves weren't great at this level but were good for playing around with technique and putting a smile on your face. Playing on a chizlee surf wave. Day two of our surfari was surf day. We scouted a couple of different breaks and ended up doing 2 sessions at 2 very different breaks. The first session at Chase a Peak Bay was probably my favorite. I opted to paddle my Jackson Kayak 2 Fun. And it was too fun. The high tide reflects off the headland walls and the sand bars at Chase A Peak to make for lots of reflective waves and zipper waves. I had the ride of the day on one such wave. It was a zipper wave (2 waves that merge from different directions like when you zip a zipper). It was a long ride where I threw in a few tricks - including back surfing and spinning. As I surfed from right to left I saw a wave down the line reflected toward me and zipping up fast. I hit the convergence at the perfect time and launched off the resulting haystack. I landed it and back surfed the resulting reflective wave. It was too fun. We moved to another break in the afternoon with more organized waves. I opted again for the 2 Fun and enjoyed some fun drops and working on my 360 flat spins. 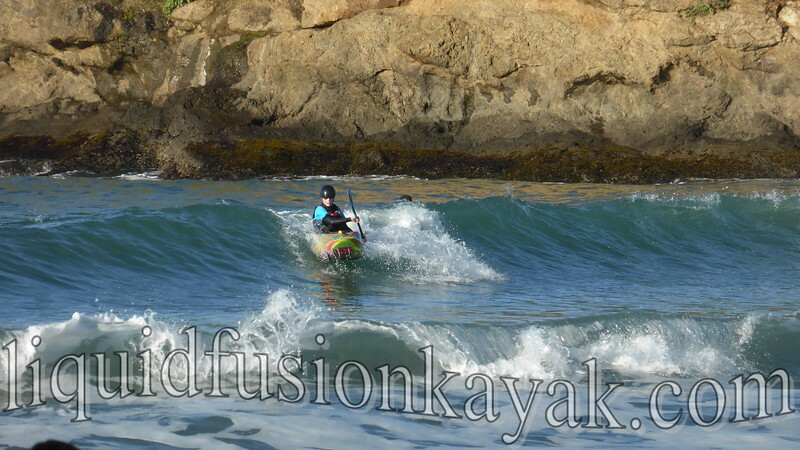 Day three was whitewater of the sea - kayaking ocean rock gardens in whitewater kayaks. Jeff and I both opted to paddle Necky Jives. We have spent quite a few New Years Paddles in rock gardening in Necky Jives. For us rock gardening is as much about surfing in between and along the rocks as it is riding pour-overs. 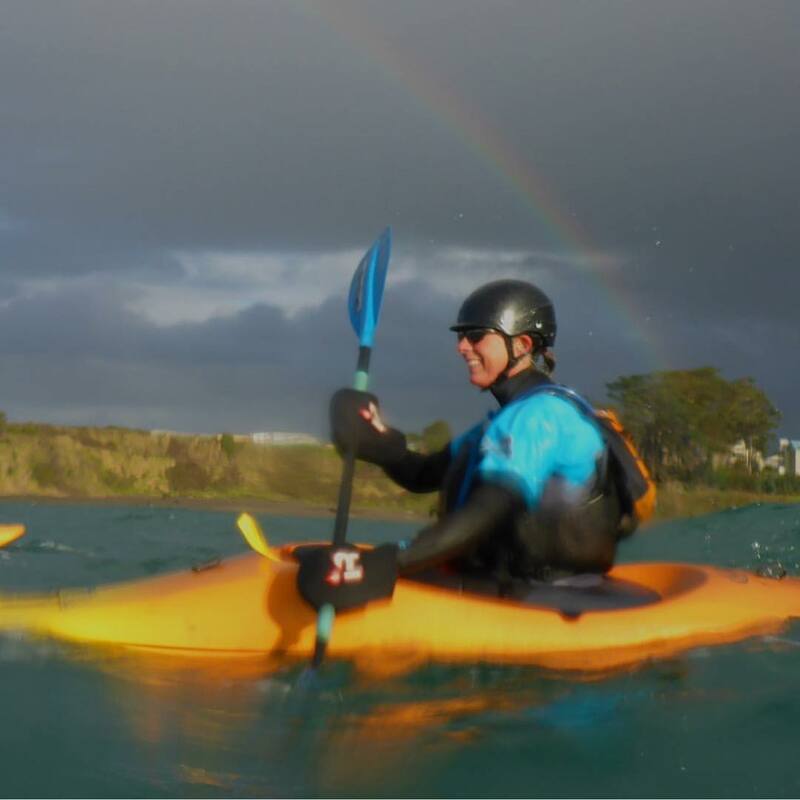 In our opinion, the Necky Jive is still the best ocean surfing whitewater kayak. 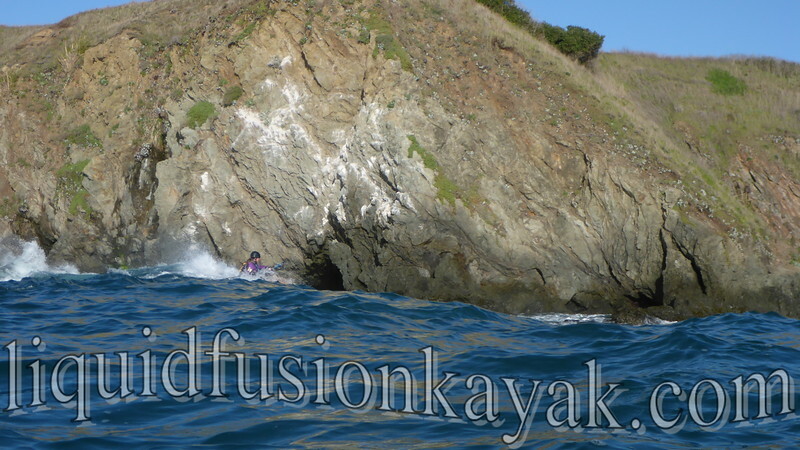 My highlight of the morning session was a nice long surf along the rocks at a feature that we call Eight. Surfing down the line at Eight. Check out the dudleya succulents on the headlands. Our afternoon session was planned to be surf but we ended up rock gardening. 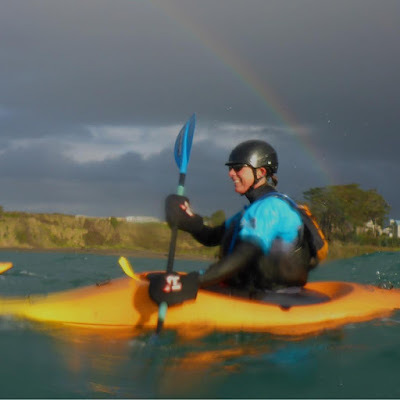 We paddled through squalls of wind, rain, hail and then in the glory of sunshine and rainbows. When it was my turn to ride a pour-over called No Name (maybe someday we will get a better name for it), we were in the middle of a squall. The swells were confused and bouncy, the wind was swirling, and we were being pelted with rain. I had trouble judging the sizes and timing but managed to pull off a nice ride. Forgive my tales of fun and adventure. 2017 is off to a good start.